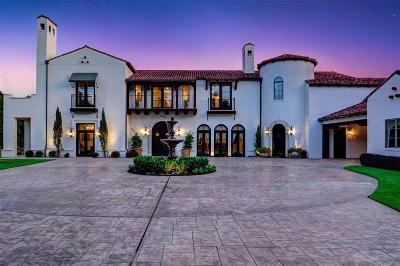 Welcome to the Hotel California! 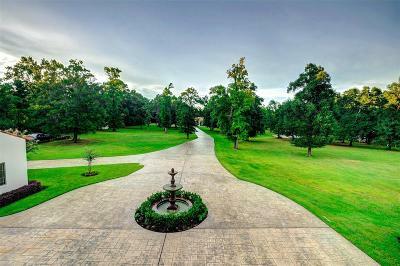 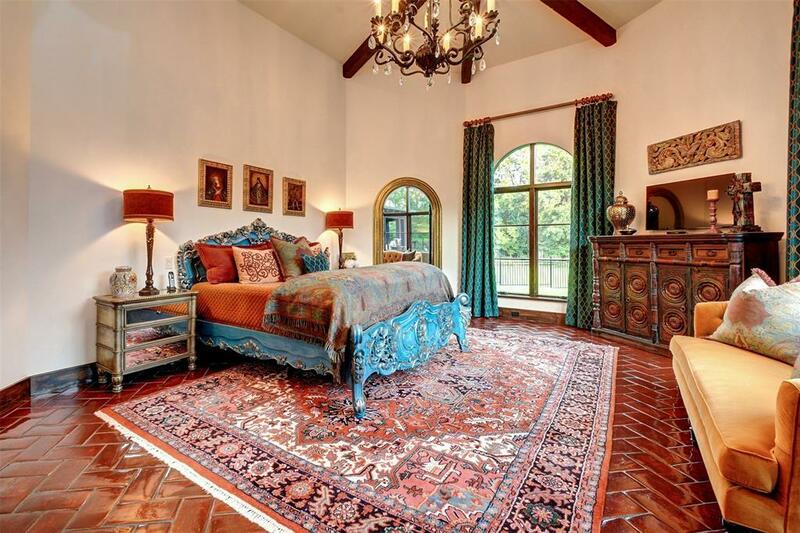 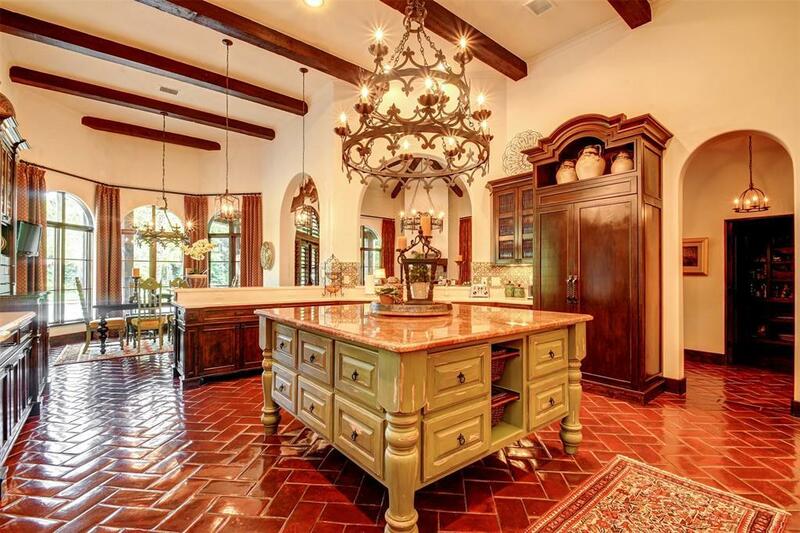 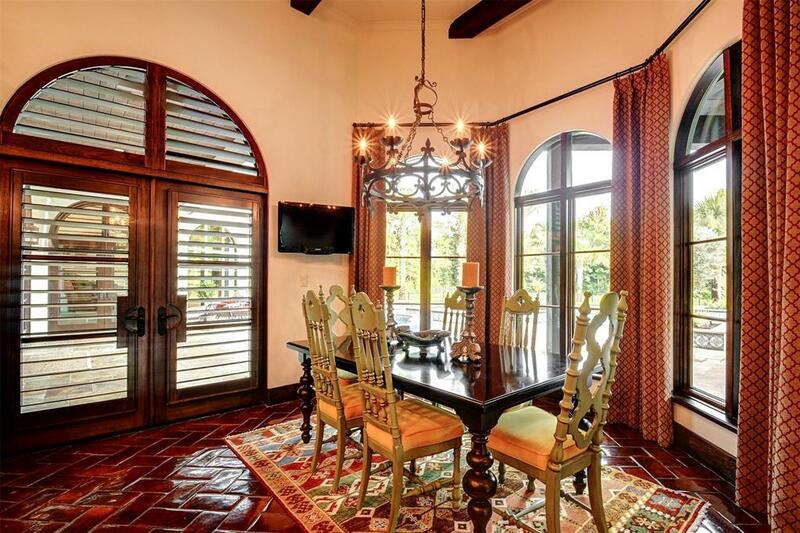 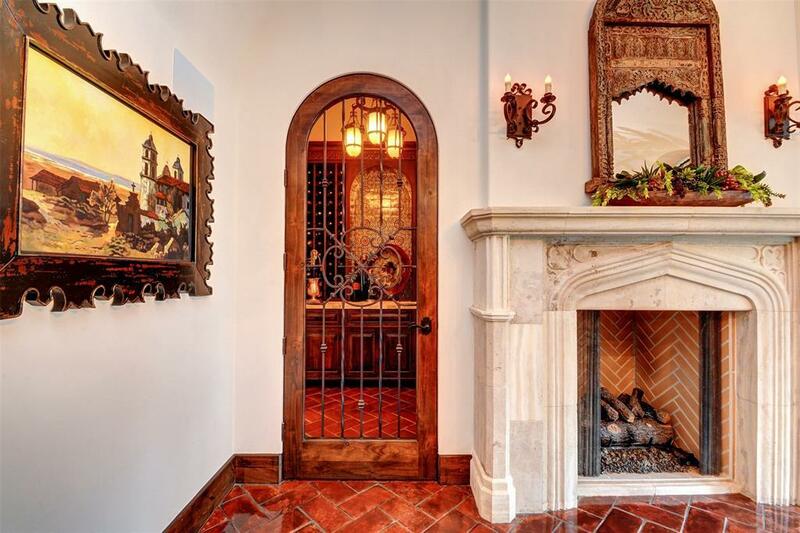 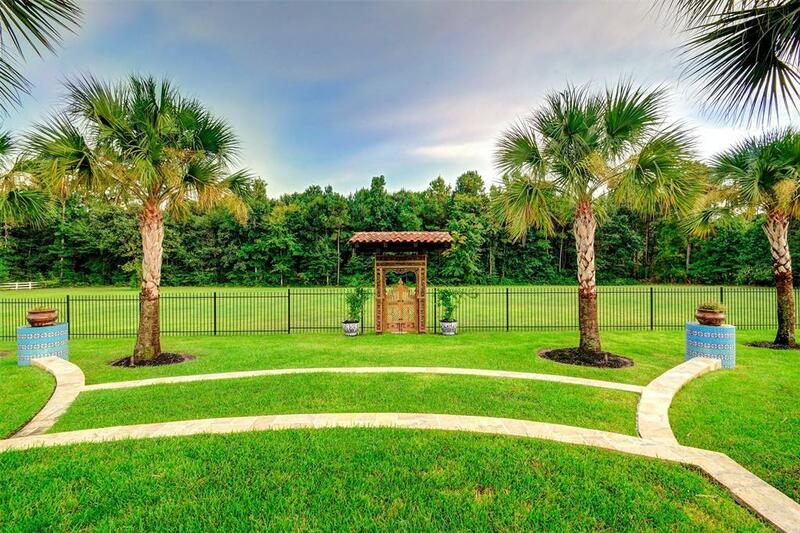 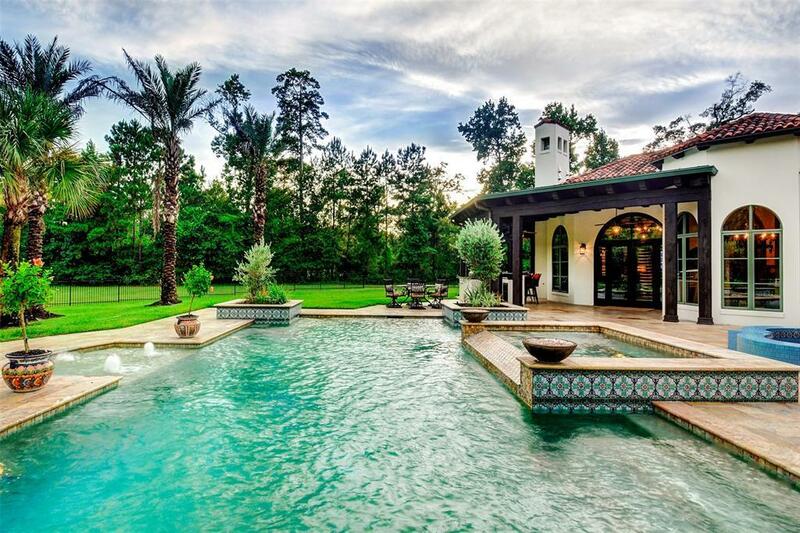 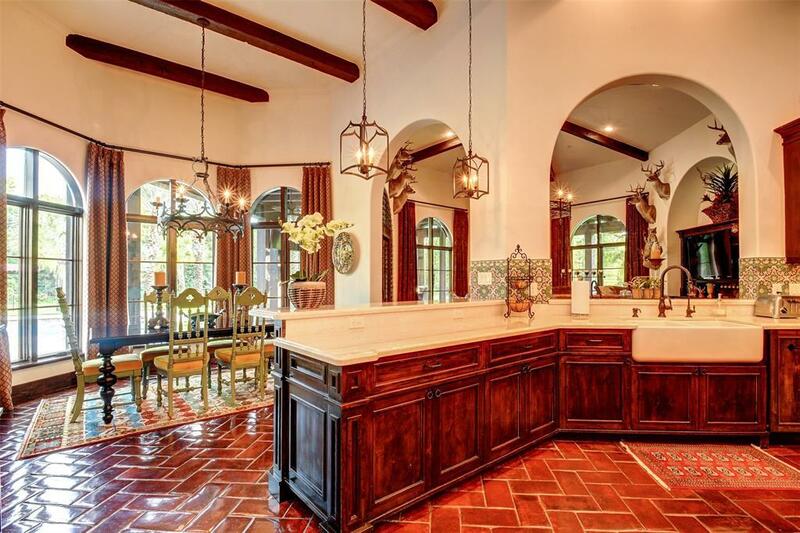 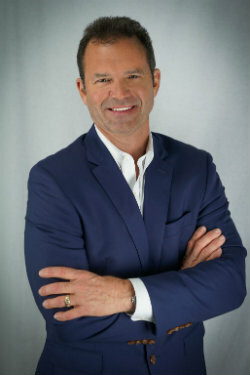 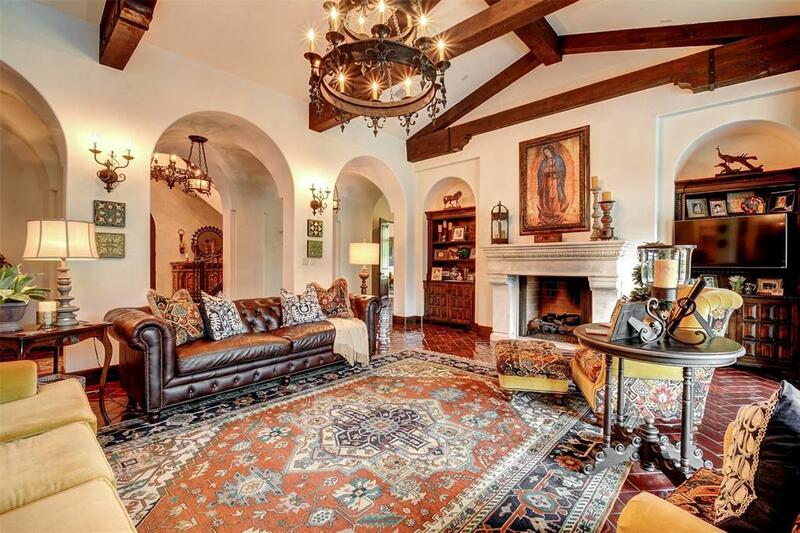 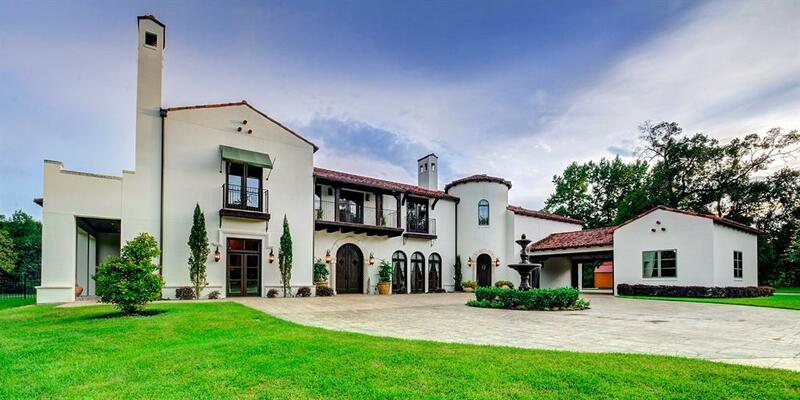 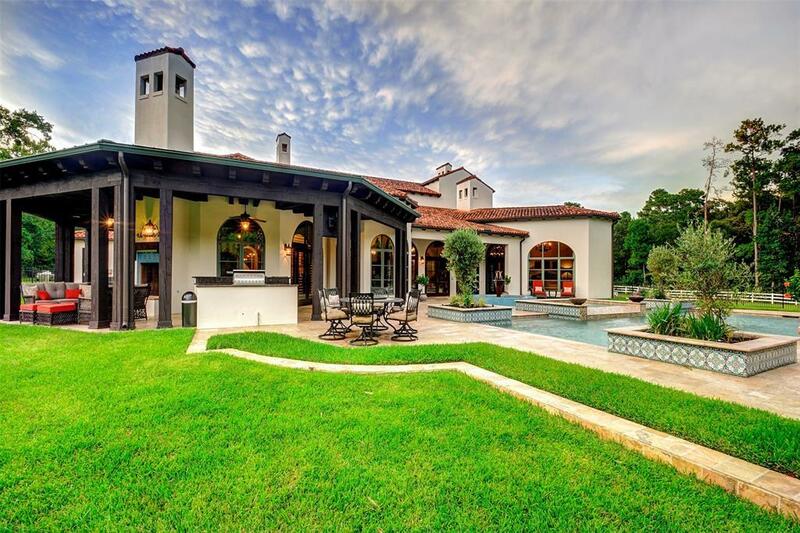 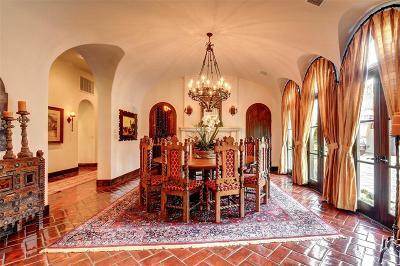 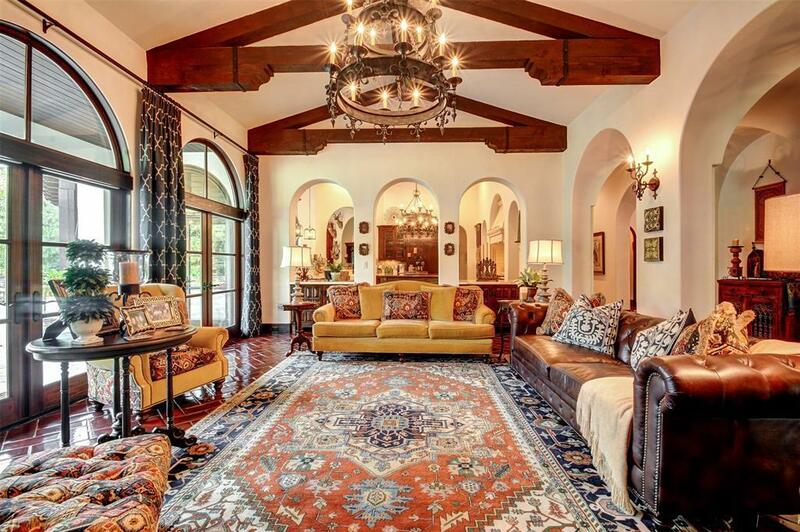 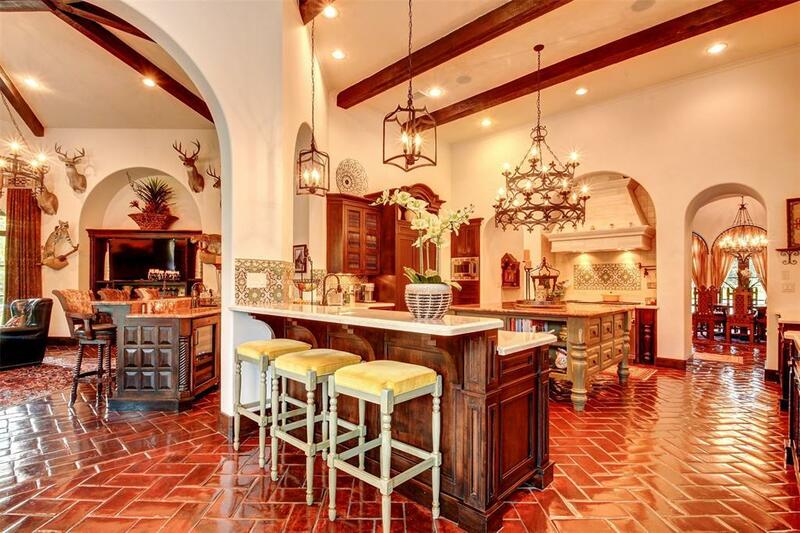 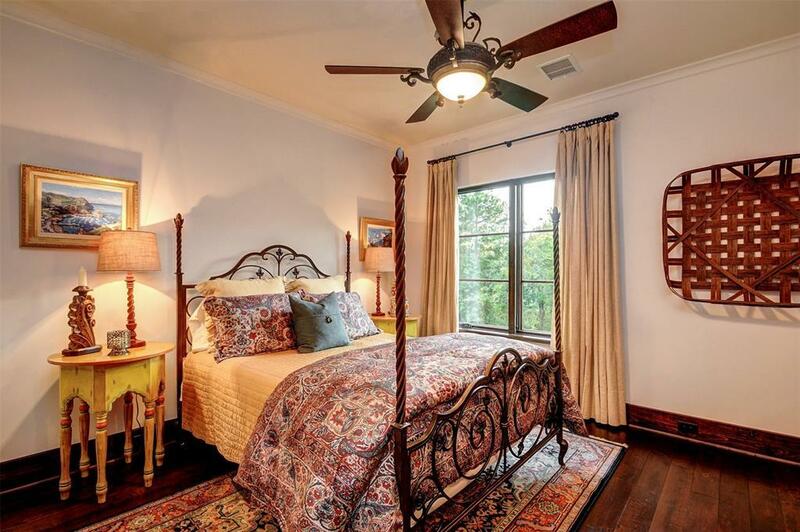 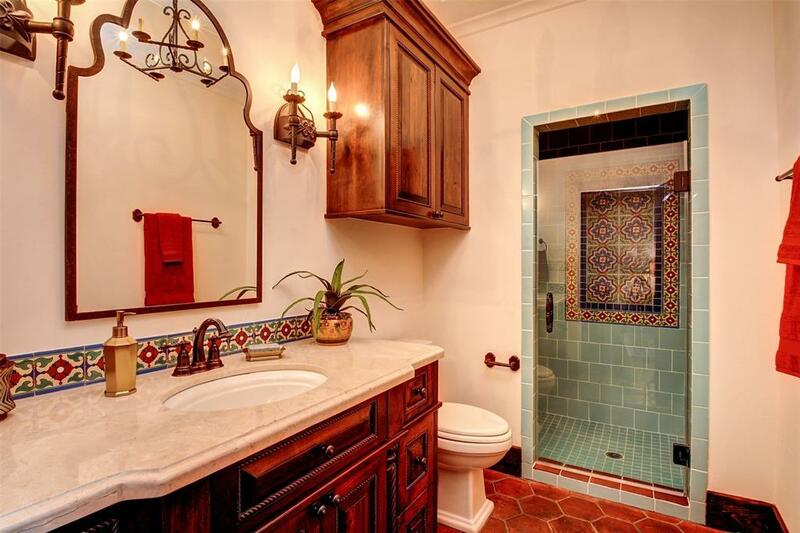 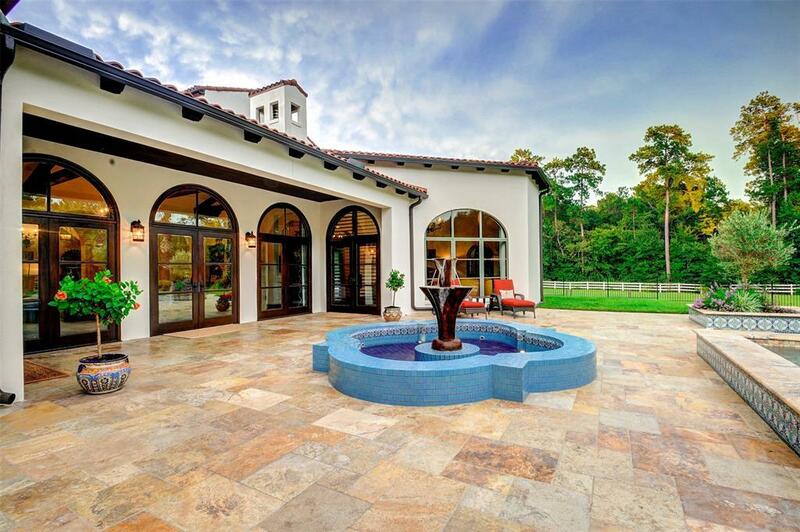 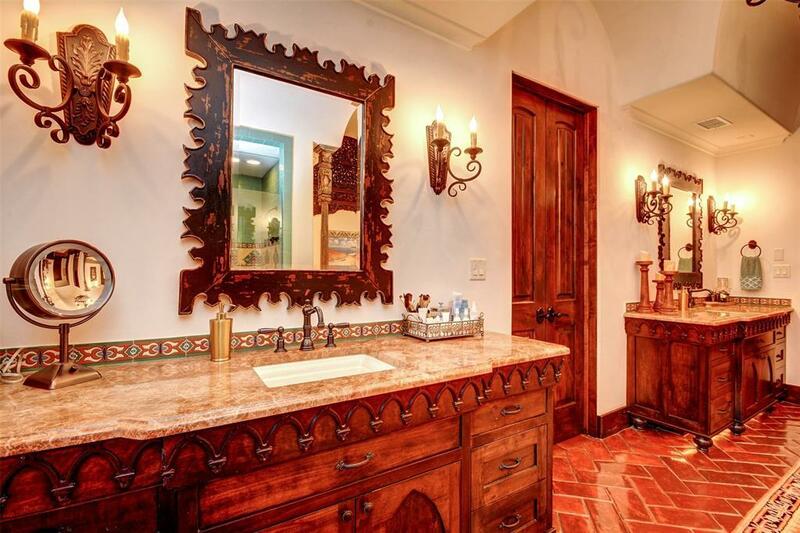 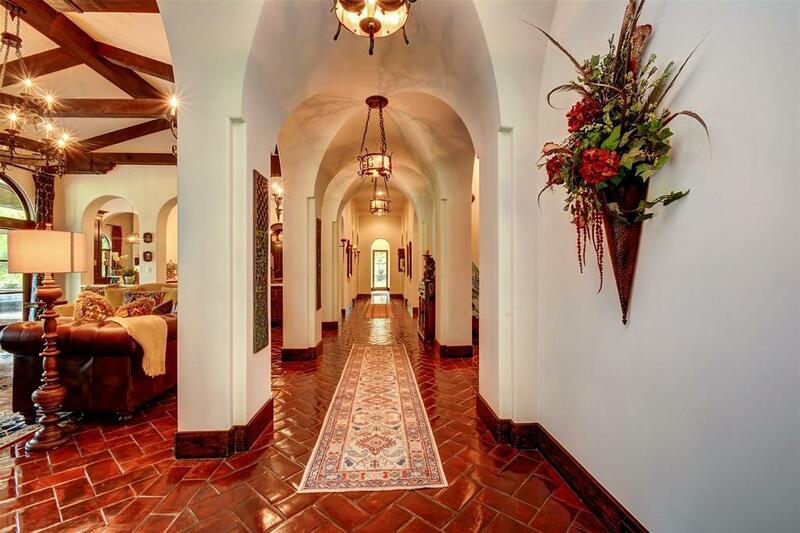 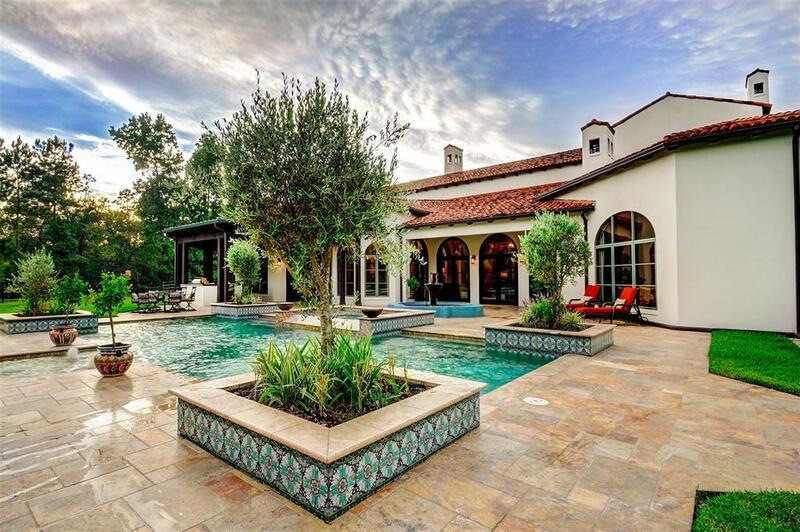 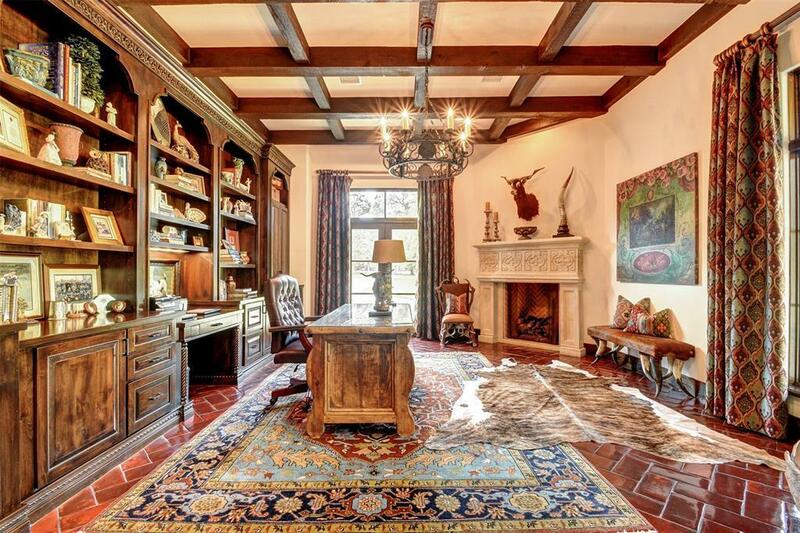 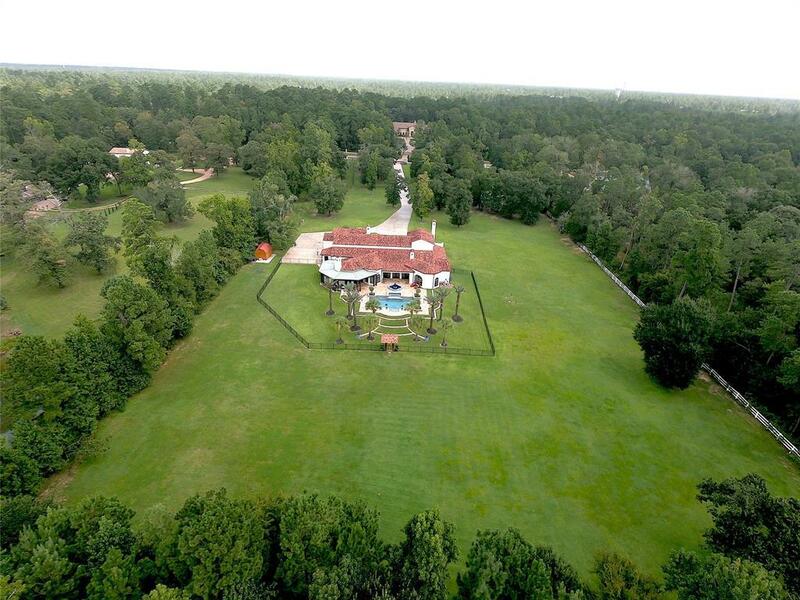 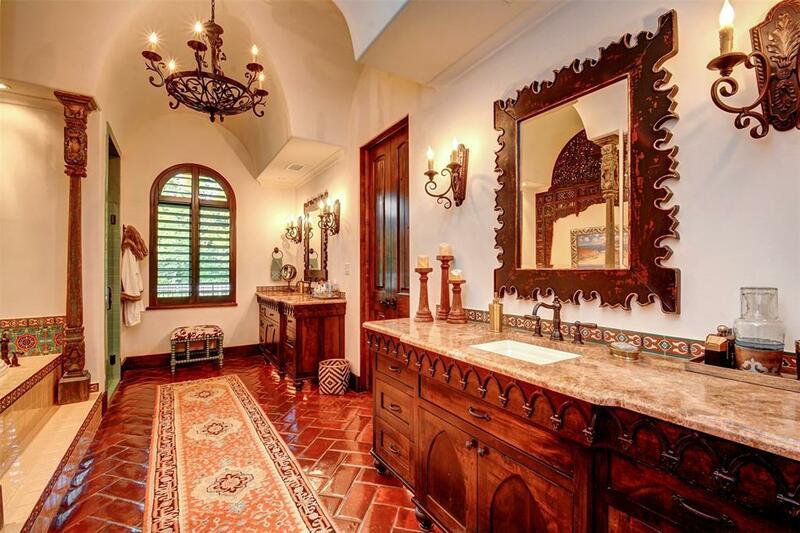 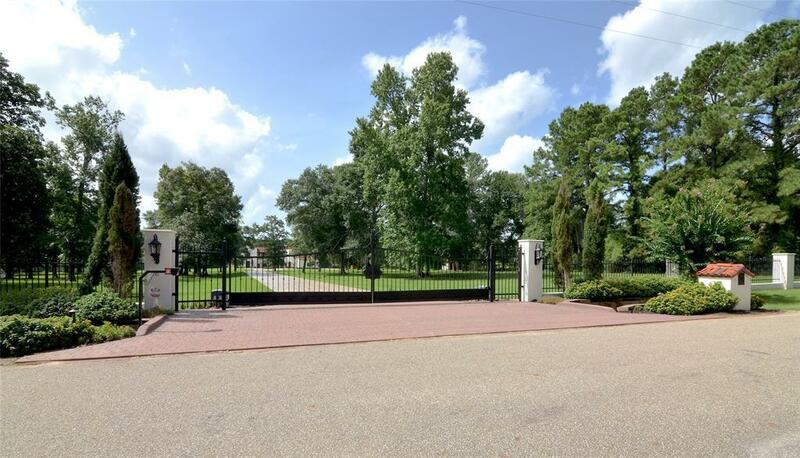 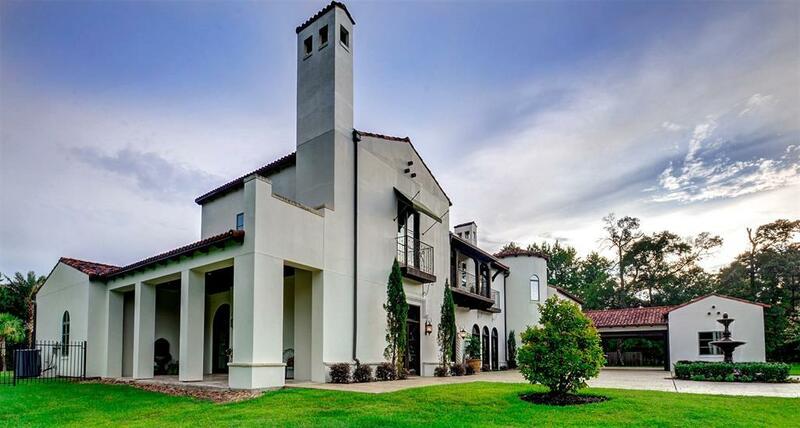 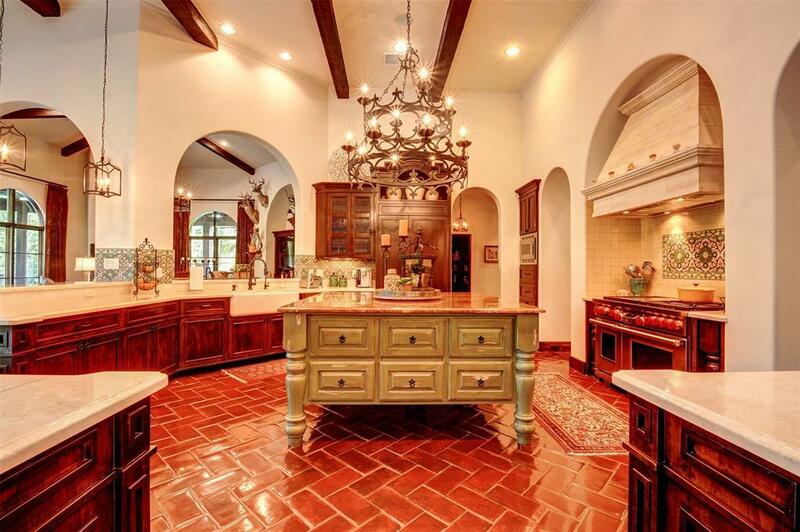 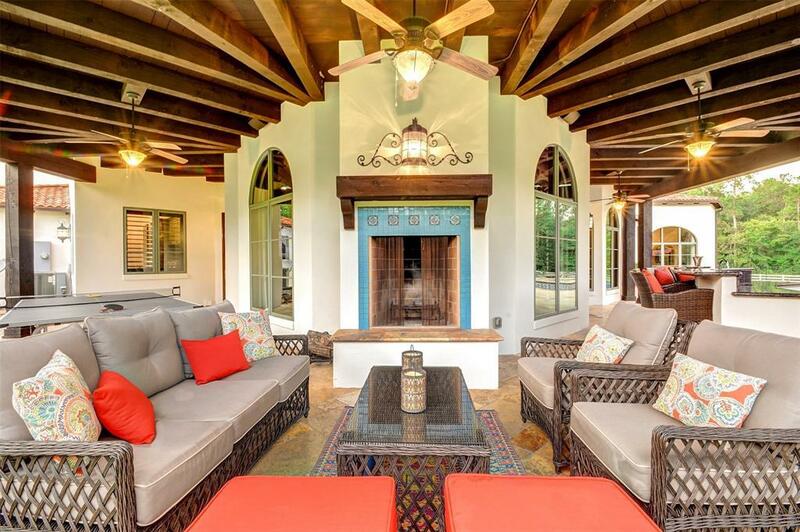 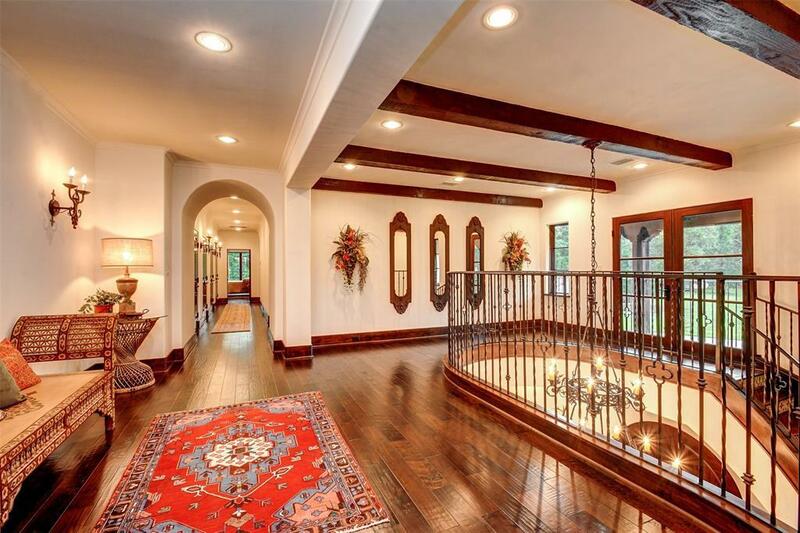 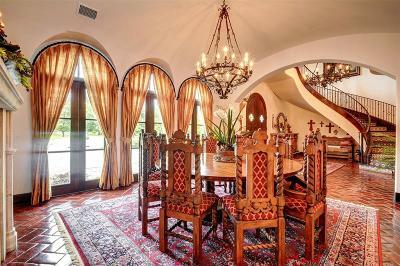 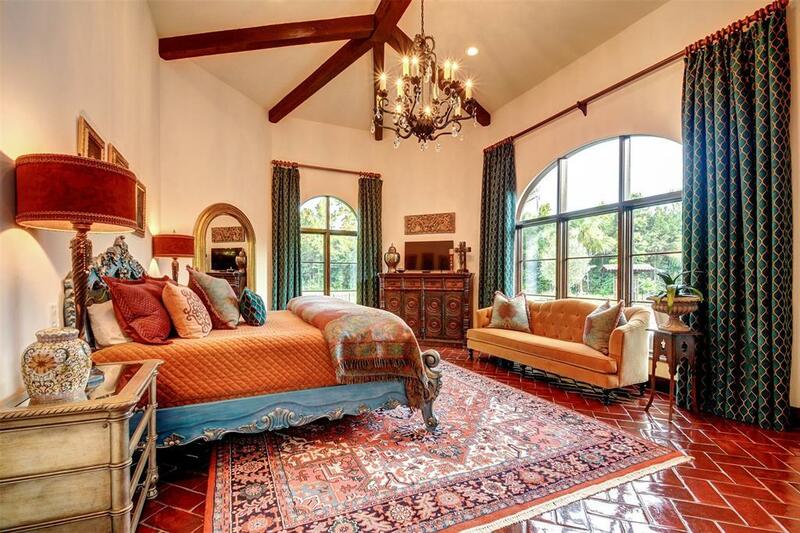 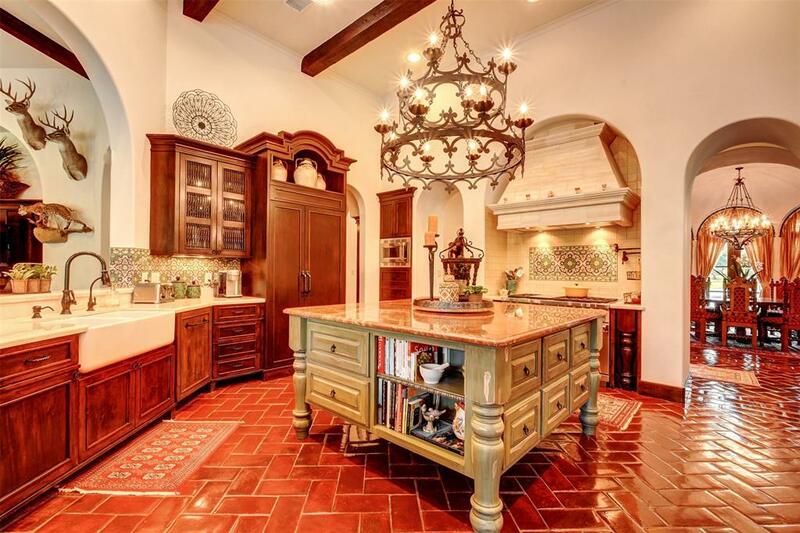 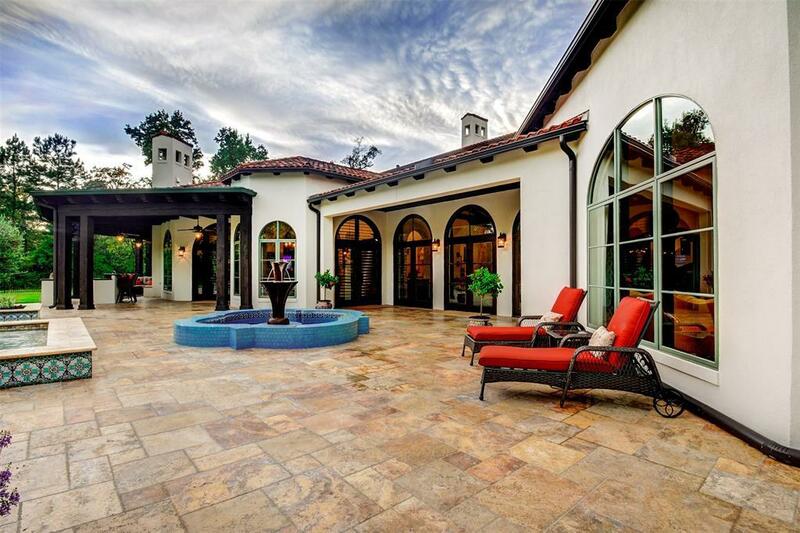 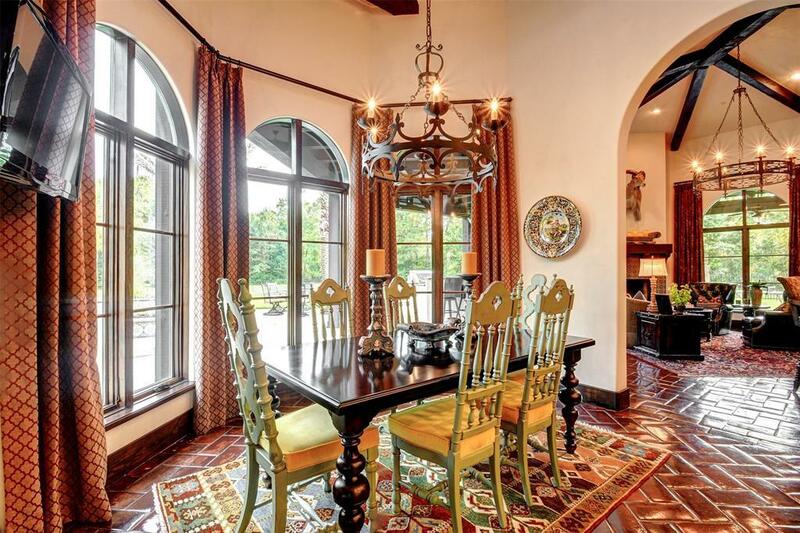 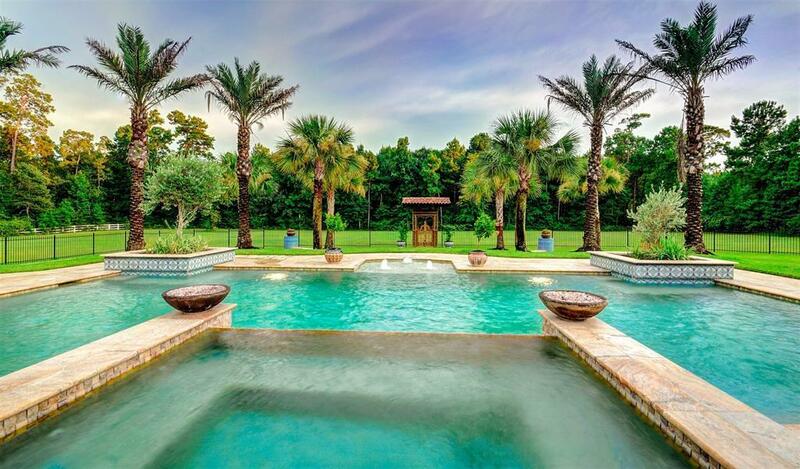 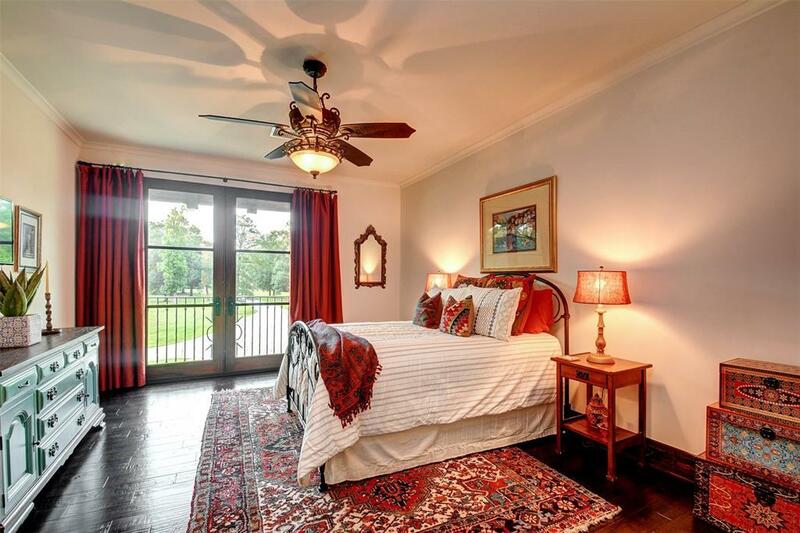 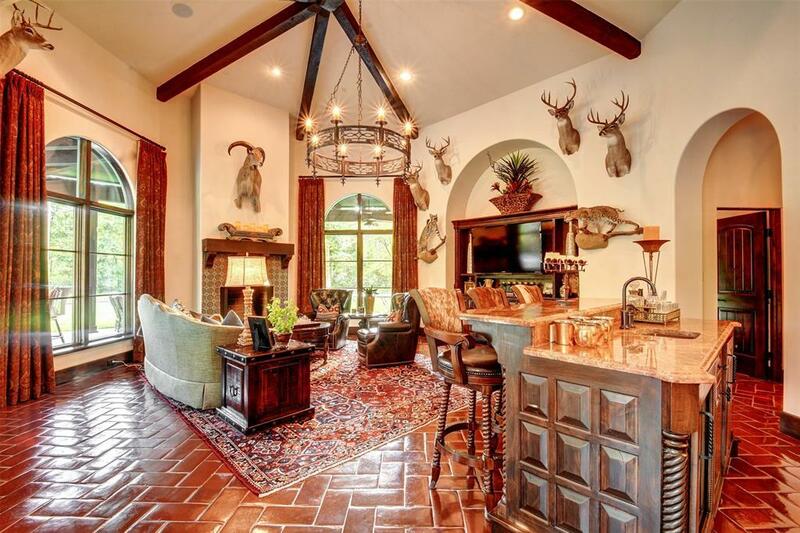 A Spanish Colonial home w/a Private gated entry designed by architect Elby Martin sitting on 7.5 horse friendly acres w/a fully stocked pond in the sought after community of The Woodlands. 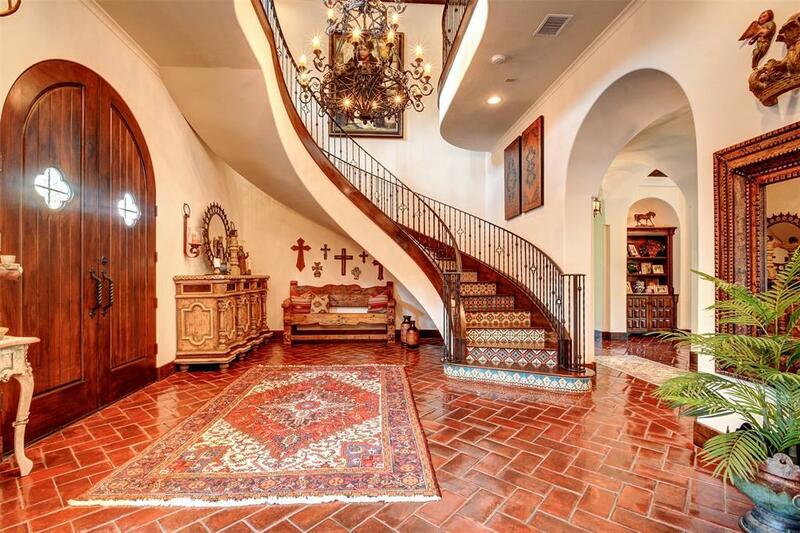 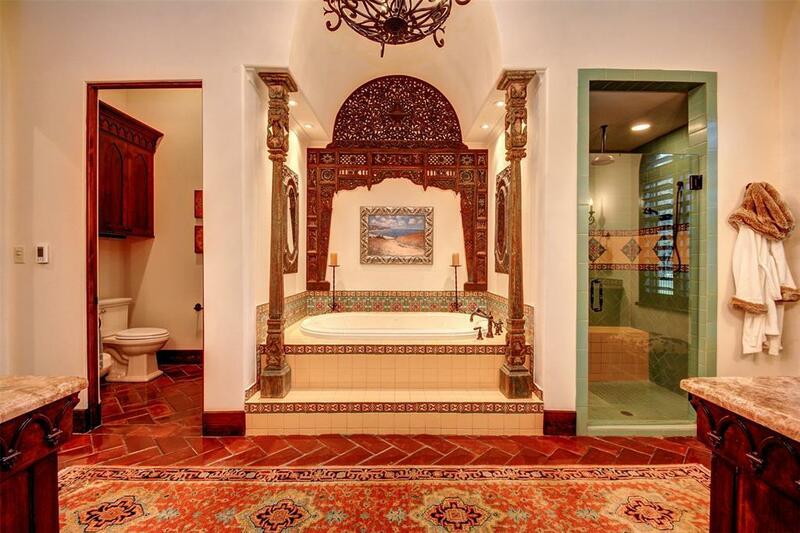 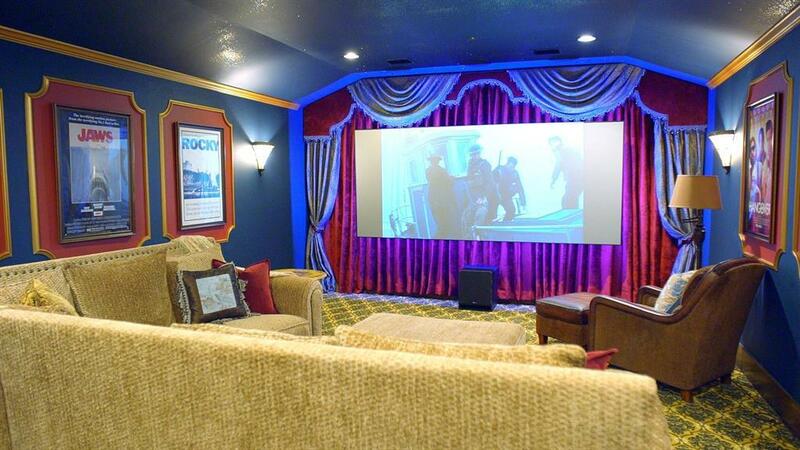 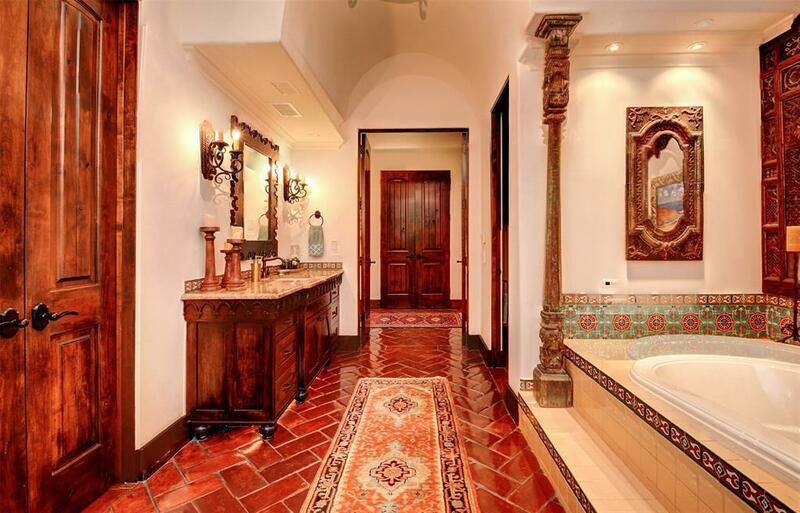 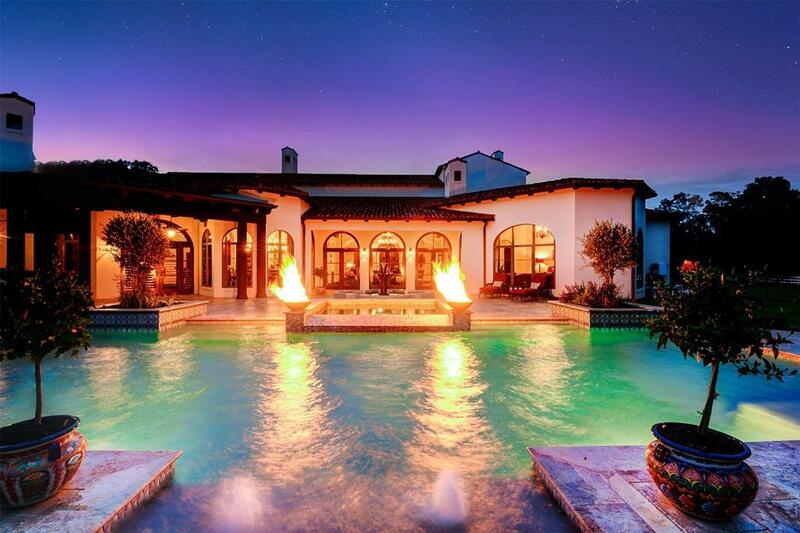 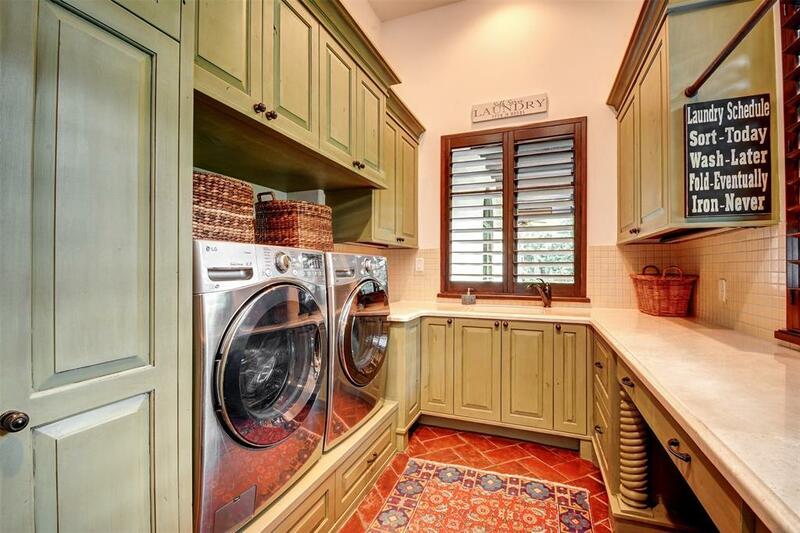 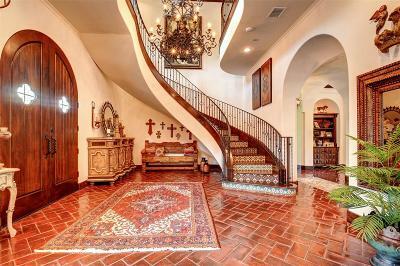 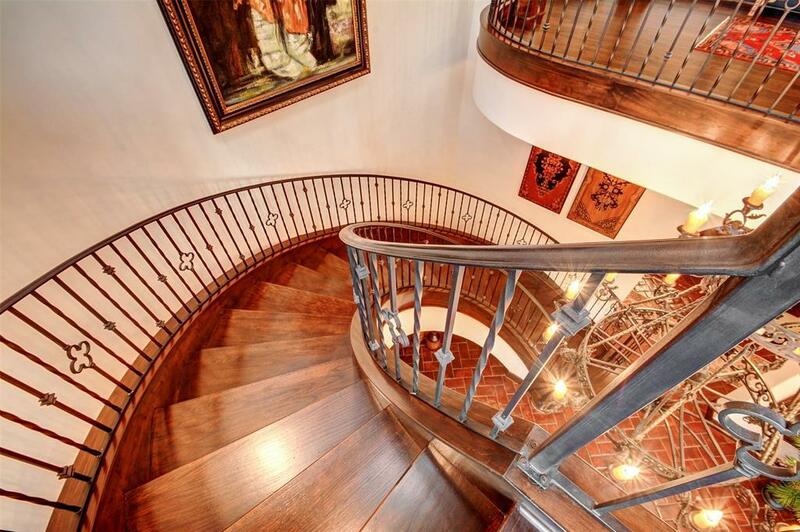 Impeccable attention to detail w/ authentic Spanish tile throughout, 2 cathedral spiral staircases, stain-glass windows, Abundant Storage, custom wine room, Cantera fireplaces, ground fault lights, 6 rooms w/wooden beams, indoor/outdoor speakers, an extraordinary Media Room w/a custom 10ft Silver Screen & 7.1 Home Theater Surround Sound System. 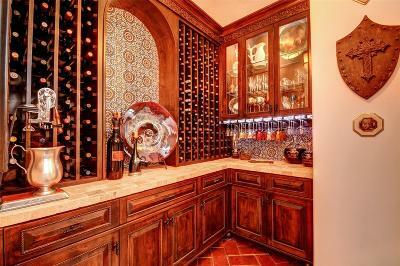 An Island kitchen overlooking the Living Area & Game Room w/wet bar that features high-end appliances, custom handcrafted cabinetry, a walk-in pantry, perfect for Entertaining! 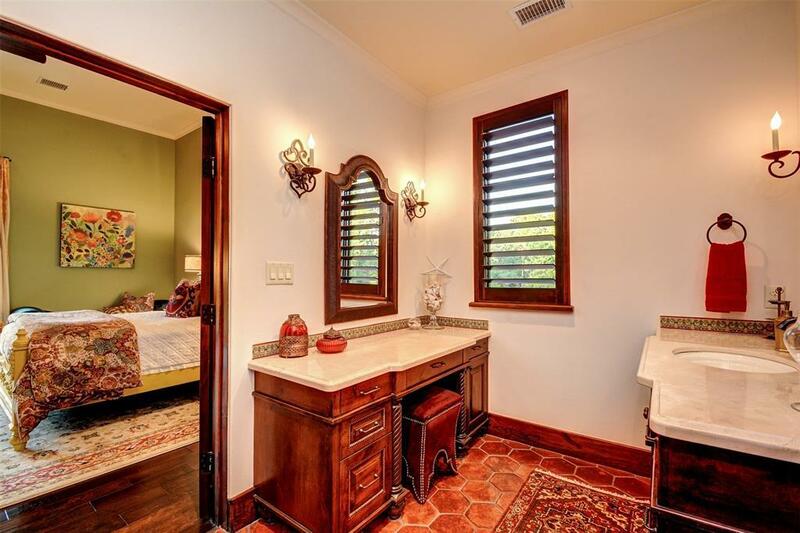 From the Master Suite enjoy a Panoramic view of the Backyard Oasis entailing a heated Salt water pool, spa w/a fountain near the outdoor kitchen. 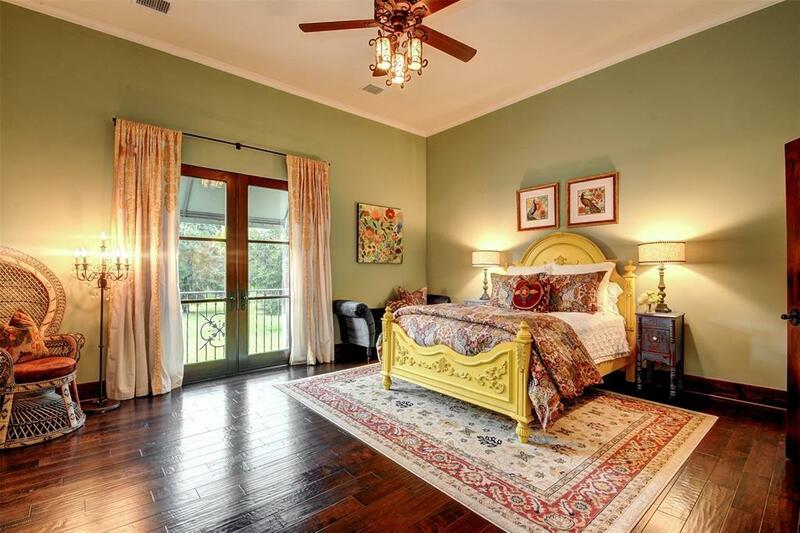 Master Down, 3 Spacious Bedrooms w/possibility of 2nd Master, Media Up. 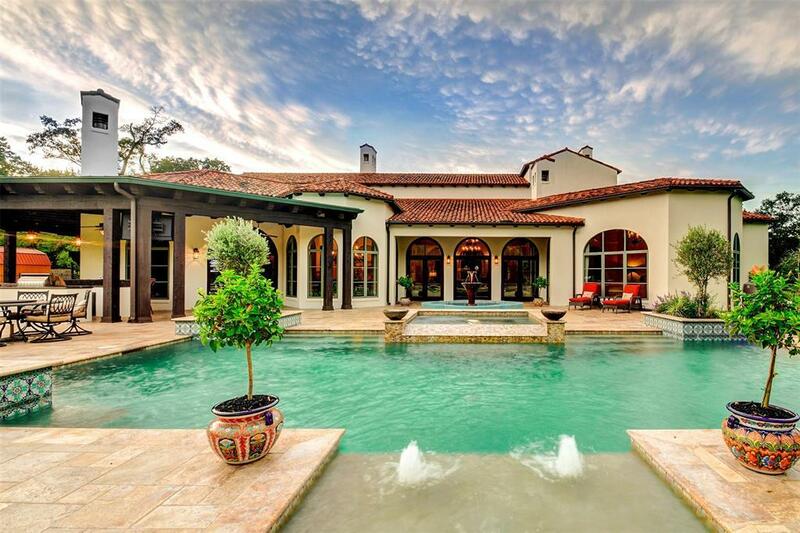 Too many features to list, must see!